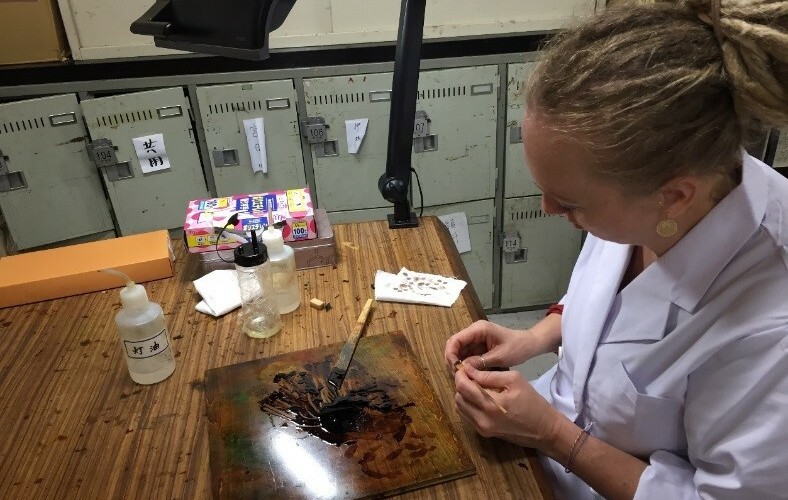 During summer 2015, third year Conservation student Lisa Clayton was invited to travel to Tokyo, Japan to take up a practical internship at Tsurumi University in Japanese Urushi lacquer. Lisa’s funding for this exciting opportunity came from the Art School’s David Ballardie Award and from the Zibby Garnett Travel Fund. Lisa departed in mid-July to take up residence in Yokohama as a guest of Tsurumi University. 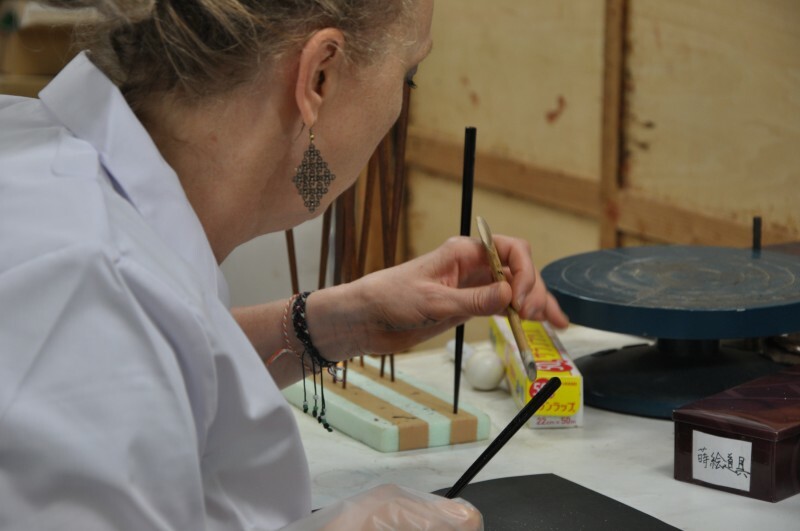 The three-week practical course was led by Professor Tomio Koike, an expert on historic Urushi lacquer and three of his graduates covering traditional decorative Urushi techniques and its use in conservation. 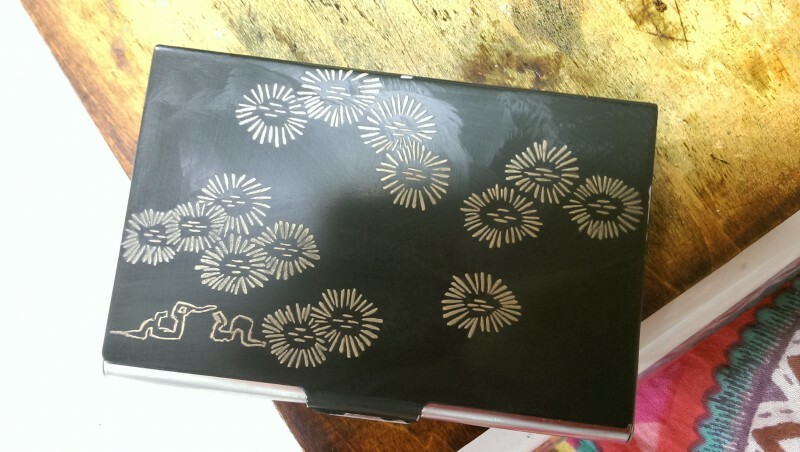 Urushi is the lacquer of the Rhus Verniciflua tree, native to Japan and mainland China. Urushi is frequently referred to as the earliest form of plastic due to its flexible, hard wearing, waterproof and highly decorative quality finish, and has been in use since 4500 BC. 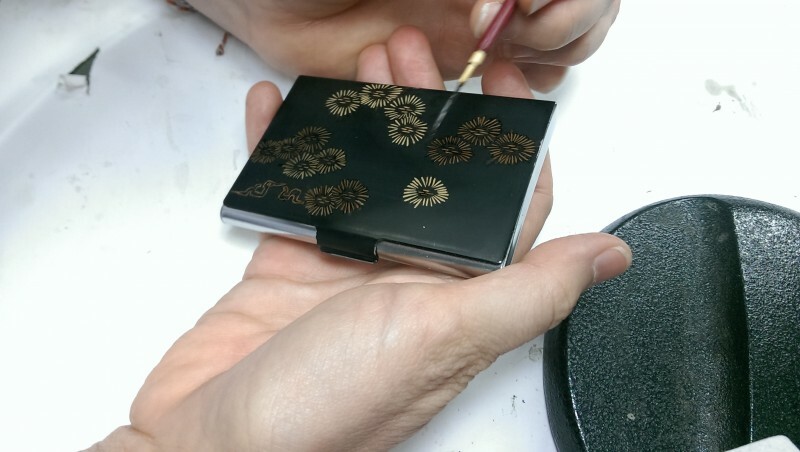 During her internship Lisa created 3 sets of chopsticks using various foundation and decorative techniques as well as a decorated craft called Maki-e with Urushi and gold powder. An additional bonus was takin part in a workshops on how to handle Japanese swords, precious scrolls and the fitting of armours. 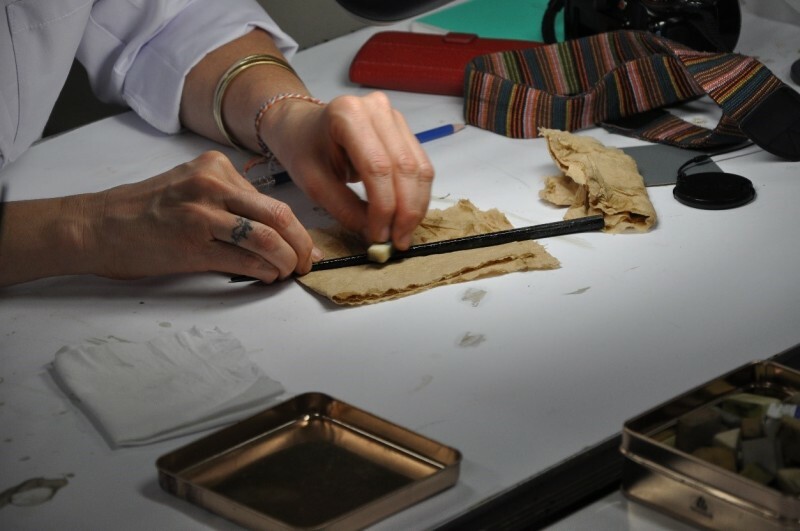 One of the highlights of the course was observing master conservator, Tatsuya Matsumoto, perform the sensitive repair of lifting gold foil on a 18th Century decorated box and a most interesting demonstration of the art of Kintsugi, the repair of broken pottery using urushi and gold powder. 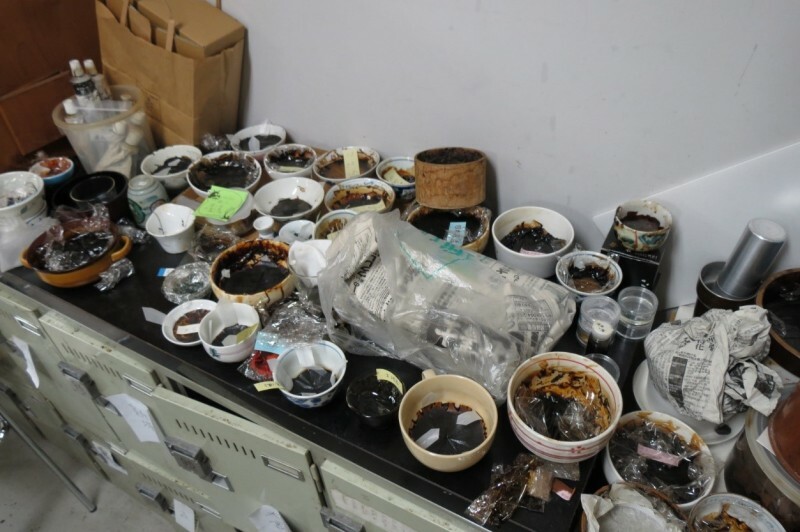 The internship culminated in a field trip to Ninohe in the north where conservators were introduced to the traditional methods and tools of collection still utilised today. Lisa also attended an international symposium in Nara where conservators from Japan, Korea and China assembled to share latest research and findings.